Budapest is more than the beautiful blue Danube with its romantic garden island and its spectacular bridges. It is more than its grand castles, fine buildings, impressive monuments and luxurious spas. It is also the epicentre of that rich and diverse Hungarian cultural heritage which draws on everything from Gypsy violins, accordions and folk dance to the sophisticated orchestras and waltzes of the Hapsburg court. No visit to Budapest is complete without experiencing something of that culture. Had I not stumbled upon a sandwich board and a couple of persuasive young promoters one afternoon outside St Stephen’s Basilica, I might well have missed the brilliant concert featuring the Hungarian Folk Ensemble, the Danube Folk Ensemble and the Rajko Folk Ensemble at Duna Palota. I would definitely have been the poorer. 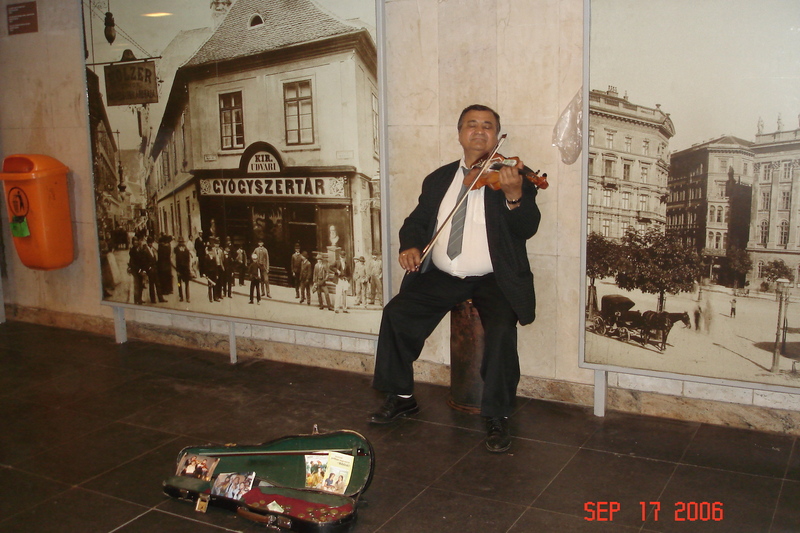 Formed in the 1950s and each consisting of thirty artists, the three groups are Hungary’s biggest, oldest and best. The performances of the Hungarian Folk Ensemble and the Danube Folk Ensemble consisted of authentic folk dances, many of which come from remote country villages and date back hundreds of years. Their costumes are a showcase of the Hungarians’ traditional taste for colour as well their craftsmanship with elaborate lace and embroidery. The Rajko Folk Ensemble’s sensational string orchestra was truly magical, with eloquent violins speaking of the Magyars, the Mongols, the Turks, gypsy campfires and wild Hungarian horsemen on remote plains. To see the performance at the stunning Duna Palota, or Danube Palace was an added bonus. The magnificent neo-baroque palace was built in 1883 and reflects the opulence, extravagance and desire to impress of the Dual Monarchy era. Its murals, completed in 1895 by Lajos Mark, are stunning and it is worth visiting Duna Palota for these alone. In its former life, the palace was the famous Casino of Lipotvaros. It was a spectacular concert in every sense – brilliant colour, spectacular movement and amazing sound in a simply beautiful setting. It was a wonderful insight into the music dance and costume heritage of Hungary. I wouldn’t have missed it for the world! The concert at the Duna Palota formed the finale of my visit to Budapest. It was a fabulous and fitting end to an unforgettable holiday.